1.29.14: Vendere Partners to Acquire Content Marketing Firm, Shumway, Ink. 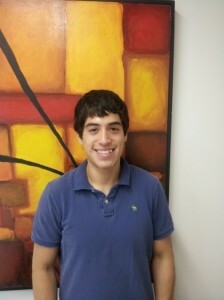 Meet Matt Valdez, Shumway, Ink.’s new summer intern. AUSTIN, TX, May 20, 2013 – The Austin Poetry Society (APS) elected Bronmin Shumway as the literary non-profit organization’s president at the 2013 APS Annual Awards Ceremony on May 18, 2013. Shumway replaces Elzy Cogswell, who was instrumental in the development and implementation of many of the organization’s recent programs and initiatives, including the Poetry with Wheels initiative, which resulted in the appearance of local poets’ poems and artwork on Capital Metro buses. Prior to being elected president, Shumway served as the APS’s first vice president. As the APS’s new president, Shumway plans to continue the APS’s traditions of hosting monthly and annual poetry contests, publishing the works of Austin writers and APS members, and implementing community-centric projects like Poetry with Wheels. Moving forward, she plans to focus on marketing and fundraising. Cogswell will continue to serve the APS as an at-large member of the APS board. Shumway, in addition to being the APS’s new president, is the founder and president of Shumway, Ink., a content generation firm headquartered at the GoLab, a progressive co-working space located on 6th Street. “I am very fortunate to have the support of the GoLab co-working community and the APS. They make it possible for me to do what I do,” said Shumway. In addition to installing new board members at the APS awards ceremony, APS 2013 contest winners were announced. The complete list of winners will appear on www.austinpoetrysociety.org in the coming days. The Austin Poetry (APS) was founded in 1949, and has been a chapter of the Poetry Society of Texas since that time. Four members of the APS have gone on to become poets laureate of Texas, and other members have won numerous national and international prizes and been widely published. In addition to sponsoring monthly and annual poetry contests, the APS presents a scholarship to a deserving Texas college student each year, hosts regular meetings, workshops, and events, and periodically publishes a member anthology. Anyone who loves poetry can become a member of the APS. 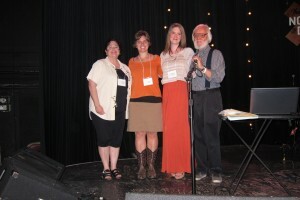 For more information on the APS and all of the things it is doing to promote poetry and literature in our community, or to become a member, visit: www.austinpoetrysociety.org. In today’s GoNews Austin video, SharedFi Vice President Estuardo Robles explains how SharedFi finds Wifi hotspots in your area and allows you to connect to them automatically. 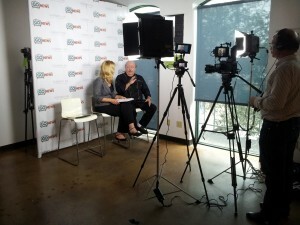 Today’s GoNews Austin video features Plantronics Software Product Marketing Manager Mike Holmlund. 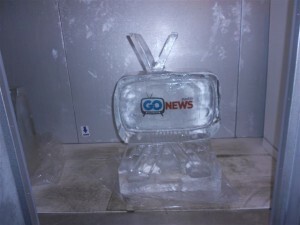 Shumway, Ink’s GoNews Austin team does it again! Click here to watch another video shot earlier this month at the GoLab. This one features Mifft CEO Richard MacKinnon. The first GoNews Austin video is here! Click here to watch GoNews Austin Host Rachelle Grossman interview Yellowfin Strategy + Design President Tina Schweiger. 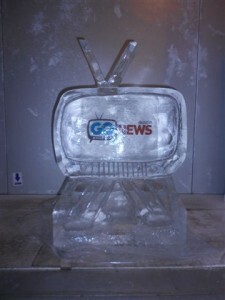 Franko the Ice Man’s GoNews Austin sculpture will make its debut at South by GoLab tomorrow, March 9! 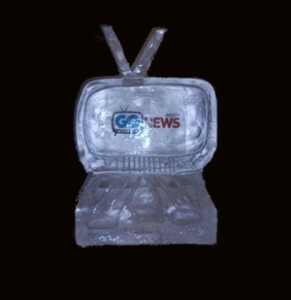 Designed by the talented Jen Maki, the new GoNews Austin logo is here! Shumway, Ink. is thrilled to bring you new products and services that will help you meet your video content marketing, publishing, and public and media relations needs. Click on the page titles below to learn more. 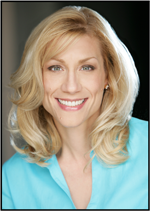 12.20.12: Rachelle Grossman Joins Shumway, Ink. Rachelle Grossman is a communications powerhouse. As a journalist, spokesperson, producer, writer, editor, actor, show host and award-winning newscaster, she has successfully managed numerous television, radio and online broadcasts and marketing videos—on camera and behind the scenes. Rachelle has initiated and implemented countless public relations and marketing initiatives for large enterprises such as community hospitals and private schools, as well as for small businesses seeking to increase sales through better media coverage. Rachelle helps companies achieve positive publicity, name recognition, and much more through extensive research, brand targeting, management consultation, and, most importantly, by helping companies earn trust and gain credibility. As the host of GoNews Austin and as Shumway, Ink.’s new director of public and media relations, Rachelle plans to make use of her vast experience and skills by developing public relations and marketing solutions for clients every day. Contact us to inquire about receiving up to 20 percent off on Shumway, Ink.’s e-newsletter and e-blast campaigns and associated services throughout November 2012. You can now follow Shumway, Ink. on LinkedIn, Facebook, and Twitter! 9.10.12: Welcome to the New Shumway, Ink. Website! Designed by Grasp Concepts, a Shumway, Ink. partner and website design and technologies firm headquartered in Chicago, IL, ShumwayInk.com features Shumway, Ink.’s current service offerings, company blog, an invitation to sign up for the Shumway, Ink. newsletter, and more. Thank you, Grasp Concepts, for building the Shumway, Ink. team and its prospects, clients, and visitors a wonderful new website!